Pools on skyscrapers roofs are in fact one of the means hotels resort to in order to attract guests. The latter ones are ready to pay considerable amounts of money to simply have an eyeful of amazing views that come to sight from high altitude and to have some swim almost in the clouds, of course. 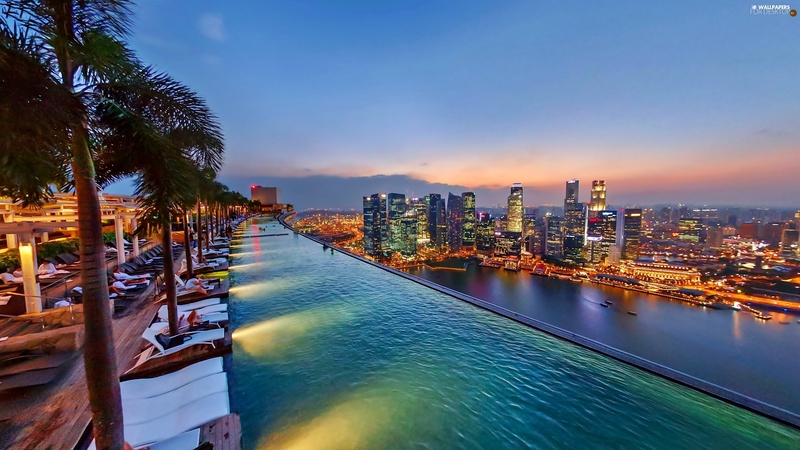 One gets a sense of being in an endless space when up on floor 57 of Singapore hotel Marina Bay Sands. 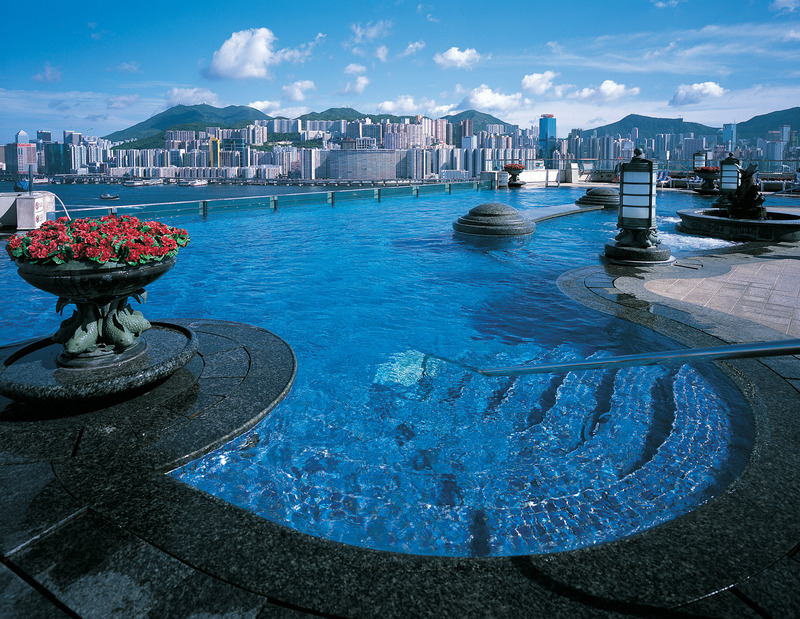 A pool on the roof of Harbour Plaza Hotel in Hong Kong looks rather futuristic. Thank to its transparent walls one can enjoy the look of surrounding buildings and hills even when under water. However from the top of Hotel Udai Kothi in Indian city of Udaipur a view of ancient palaces greets the eye while at the same time one is surrounded with various pavilions covered in Rajasthani style ornamentations and paintings. 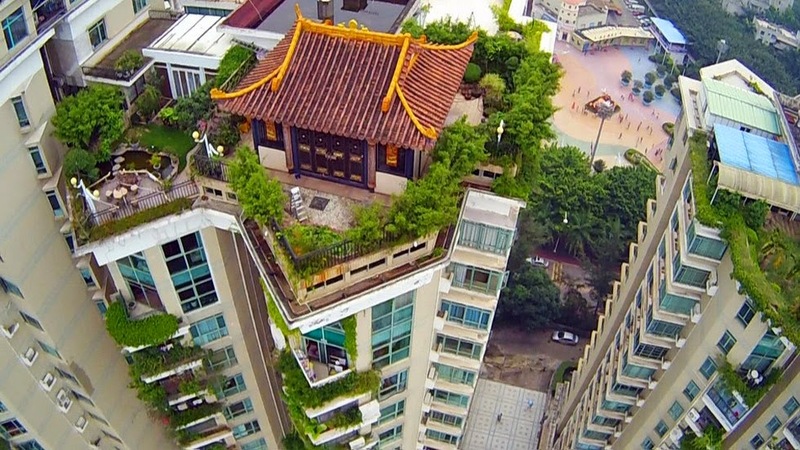 In Chinese Shanzhen at the top of 21-storied building the owner of the penthouse, in secret from local authorities, erected a real temple. There is a miniature garden near it where one can have some rest from big city fuss without living the house. It isn’t simple at all to have a closer look at the construction. At the entrance gapers are greeted by specially trained dogs and modern security system with metallic door, video surveillance and admission only by fingerprint. 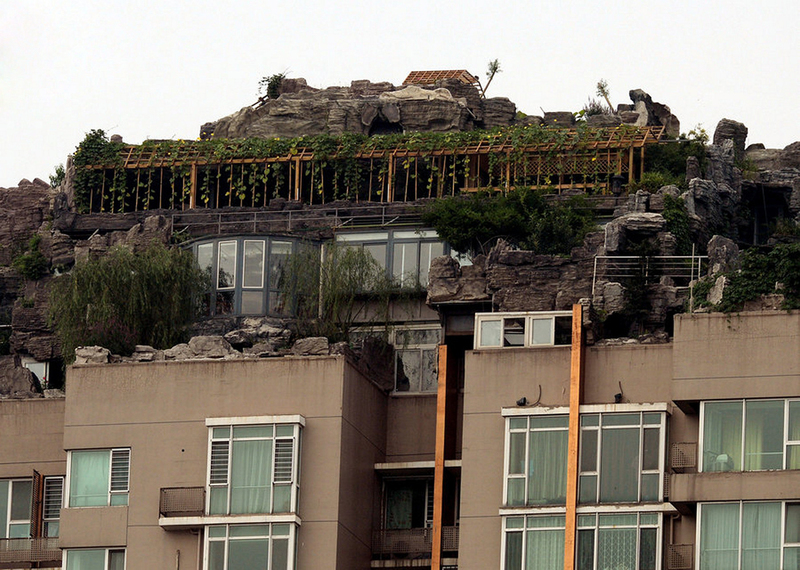 Another remarkable Beijing inhabitant – professor and the owner of large western medicine clinics chain at the same time – created a huge mansion surrounded by mountain scenery on his 26th floor. Temples, gardens, plantations, sports fields… The Chinese succeeded in “high-level” building-up all in all. A cost of a square meter in the country is expensive enough to learn how to make use of every available plot. 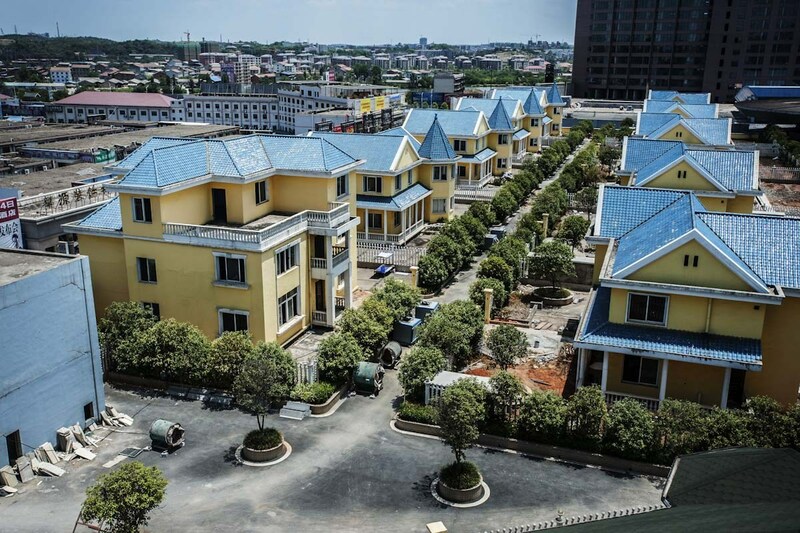 Thus, a whole cottage village of 25 villas is peacefully settled on top of a trade centre in Chengyang. Alongside practical use from additional roofs development, some managed to find a space for art there. 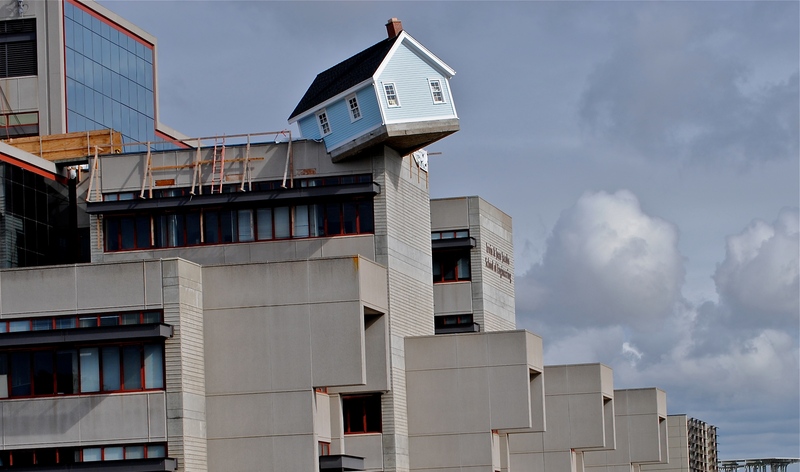 Korean painter Do Ho Suh created an extraordinary installation symbolizing student’s life in the USA: when graduating from school, a person becomes independent and has to live separately from parents – either in a dorm or in an apartment. The master’s work bears the name “A Fallen Star” and represents a multi-storied building that is affixed to the roof of one of University of California in San Diego buildings at an angle of 10 degrees. The Brits, some time on the threshold of Summer Olympic Games in London, held a competition for creative people: come up with an ingenious architectural design – obtain a chance to bring it to life! 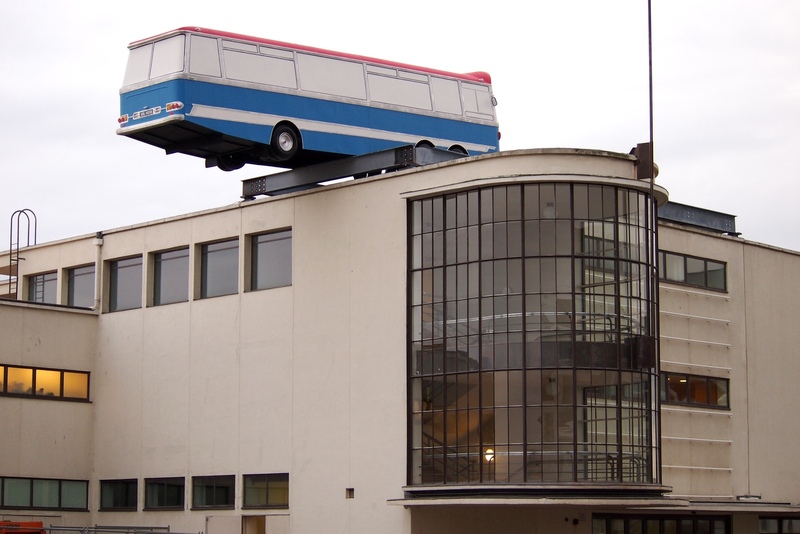 That’s how a town of Bexhill got a bus teetering on the edge of De La Warr Pavillion building. The author of the work was inspired by “Italian Job” the movie. However in Vienna one can see a house attacking a roof of another building. 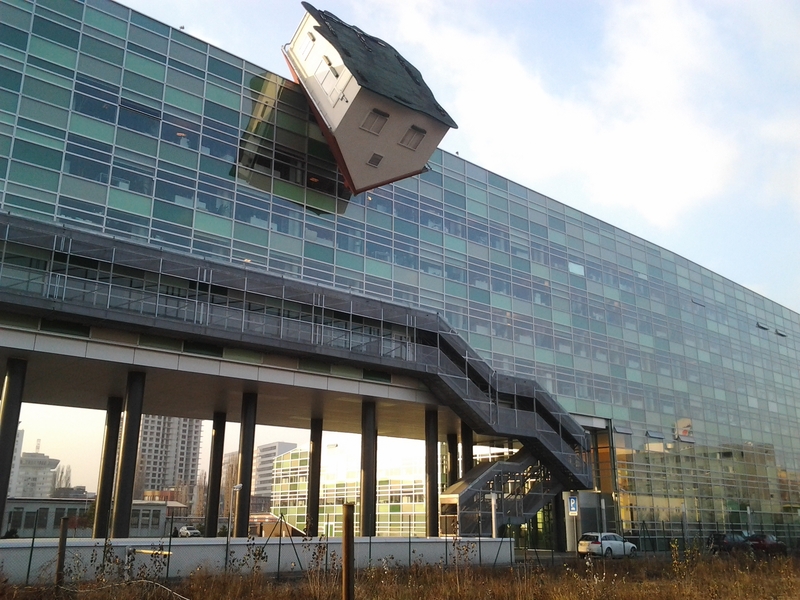 It is in fact a work of modern sculptor Erwin Wurm. It has an ilk name: “A House Attacks”. The construction under assault is nothing else but Vienna Museum of Modern Art. The invading house is a symbol of daily routine and plain low-cost buildings like “countrymen dream” that swarmed Austria.